To me that costume is middle of the road. Not my favorite one, but it beats the red safari jacket. Any of Simon's costumes with yellow on them can go to the back of the line. One of my favorites, however, is the long sleeve "Hidden Depth" / Force Works era costume that most seem to hate. No "Wonder" we are friends, lol! I loved Simon when he re-emerged in the Avengers wearing his original outfit! It just said "pure power" and Simon really looked his strongest in it! By the way, I love your 2 figures! I think you may have modified the first one, the original costume, but it looks great! You are very talented! Unlike the custom made Namor I posted none of these are my job, P. I wish I had these statues though. The first one is a modification of the Bowen mini bust which I own. The modder added the hip and legs. 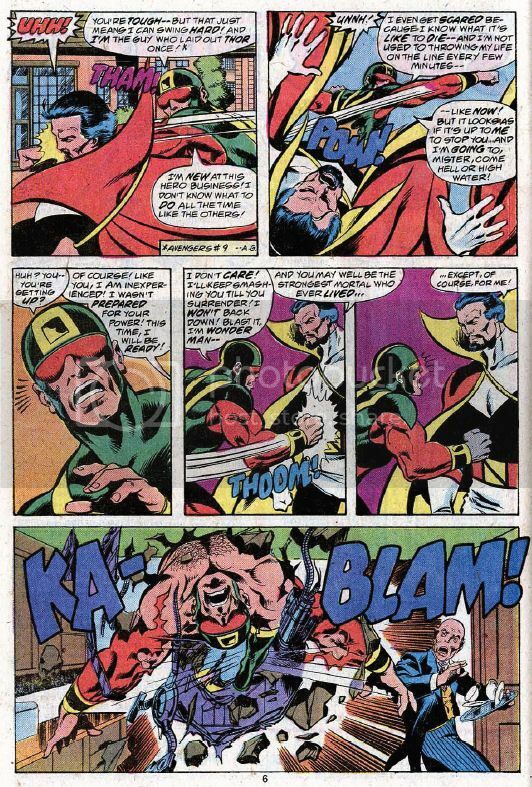 Incidentally there exists a full body original Wonder Man but the torso is different. I think they should just reboot the character. Put him back into his original costume because he's never looked more powerful than he did with that on. The headgear with the illuminating goggles always looked good to me and the whole looks just implied that this is a powerhouse and physically one of the strongest characters around. Definitely no more purple leaking energy form or red safari suit and specs or mullets, please!! This. 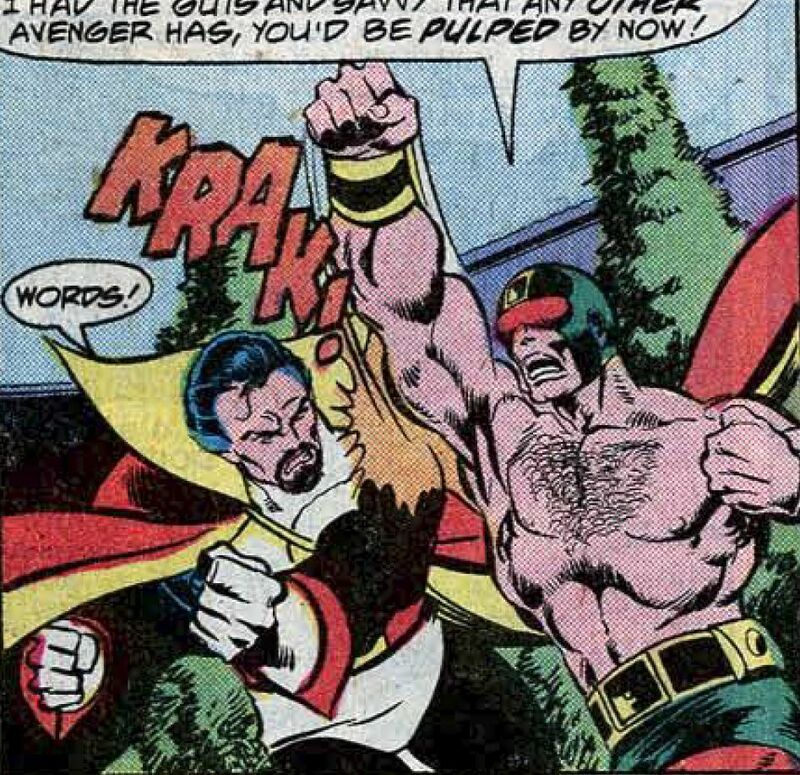 Or simply use the shirtless look from the original Nefaria battle. That one looks badass, he looks like a "luchador", a brawler which is what Simon with all his physical might should be. Wow, no posts here since April of 2018?! I guess no one appreciated Simon's role in No Surrender...? Even though I despise that costume, the statue looks great! Is that an official release or a custom paint job? I know looks like something from the circus, but I totally love his second outfit from Avengers 161. I do wish he'd go back to something closer to his first outfit. He never seemed as impressive when he wore red/black and didn't have a cowl. That's the month No Surrender ended. He's been limboed since then! No to the head gear and no to being shirtless. This isn't the 60s. Why does he even need the headgear? The public know who he is so he's not hiding his identity. And it's not like the headgear provides him with additional protection. He doesn't need it. You are right. He doesn’t need it but then why does Captain America need a mask? What’s the point of Thor wearing a helmet or Hercules or the Scarlet Witch wearing those little headpieces on their head? It’s not for protection or helping hide their identities. You can go further and say it’s not the 60s so why on earth are there superheroes/villains still wearing capes? Maybe there’s no real practical reason why they wear costumes at all in comics but I guess readers just like the way it looks on them. Same with Wonderman. No practical reason why he needs head gear or even a costume but to some readers they just prefer seeing him with them. 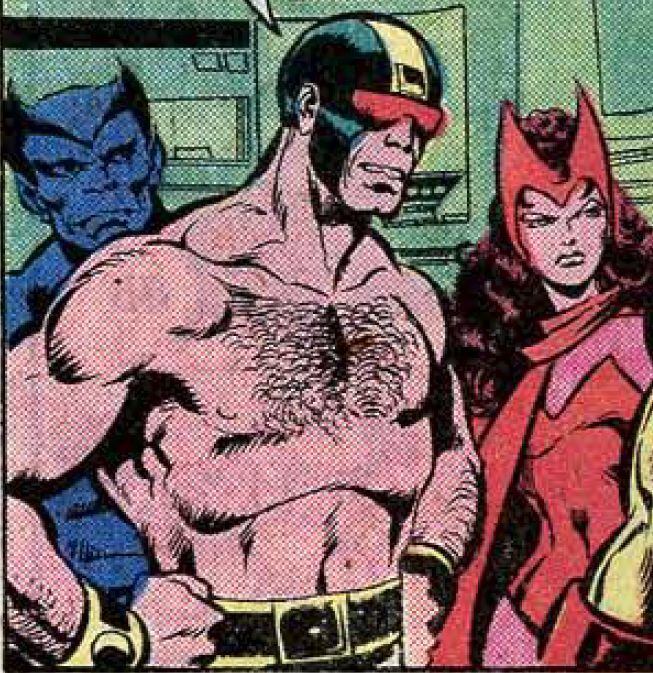 So you can only use head gear or be a shirtless superhero/villain in the 60s? It still works very well for Bane and Hawkman and even Aquaman. I guess that’s why Thor no longer has his long golden locks anymore because that’s considered something out of the 60s? Maybe Thor writer Jason Aaron is going to have Thor with a totally bald look soon like he has himself? Lol. LOL, oh man, that would be pretty bad. But yes, that's a very faulty logic. 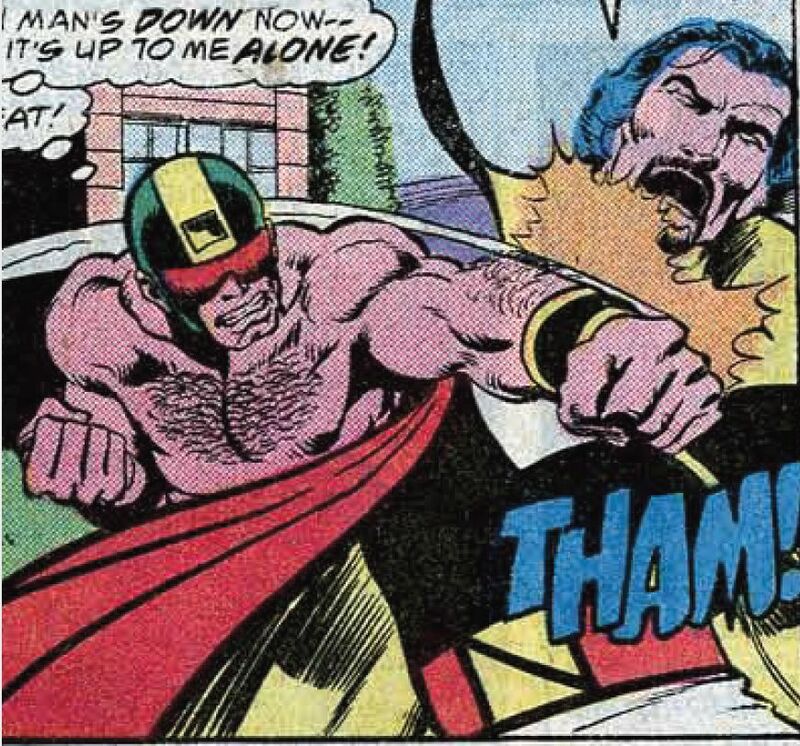 I thought Wondy was at his best in this period of the Avengers.